On Snow Magazine (OSM) – North America’s Best Snowmobile Magazine – WILL TRUMP STEEL AND ALUMINUM TARIFFS IMPACT SNOWMOBILING? President Trump recently announced new tariffs on aluminum and steel imports to the United States. The proposed 25% on steel and 10% on aluminum tariff is intended to boost domestic production of these materials and put the United States on a level playing field with countries like China, which has been accused of “dumping” these metals into the global market for several years. 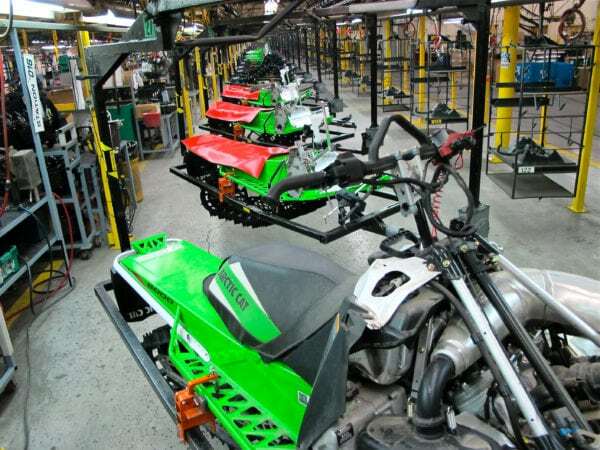 For sledders, this move could impact the retail price of future sleds from domestic makers Arctic Cat and Polaris. Polaris for example, purchases about $300 million worth of steel and aluminum each year, but according to Polaris CEO Scott Wine, the impact will be minimal. Instead, Wine is more concerned how such tariffs could impact countries who are hit by the tariffs resulting in less consumer spending power and ultimately reduced retail sales overseas for his company. Currently both Canada and Mexico will be exempt from the tariffs.